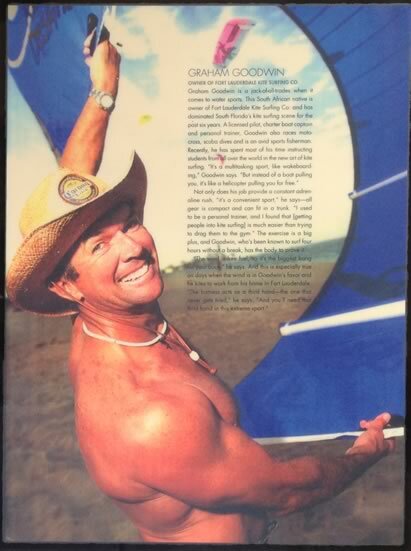 Graham Goodwin, owner and principal instructor of Fort Lauderdale Kitesurfing, started giving kitesurf-instruction courses as early as 1999 earning him the reputation as the most sought after kitesurfing instructor in South Florida, espcially the Fort Lauderdale area. 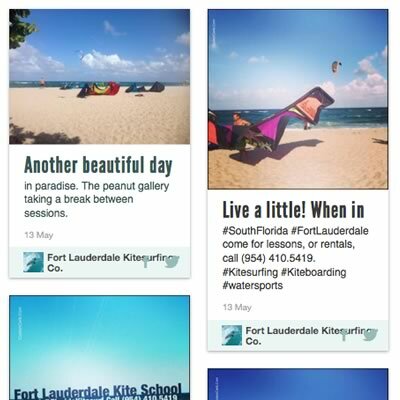 At Fort Lauderdale Kite Surfing Co., we are dedicated to teaching and promoting this exciting new sport in a manner that is both safe and fun! We have the best line of equipment. And if we don't have it in stock we can order. Please have a look at what we currently sell. 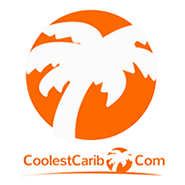 Please be advised that the equipment page on thi swebsite does not always reflect what we have. Equipment sells quickly and get replaced with new stock. 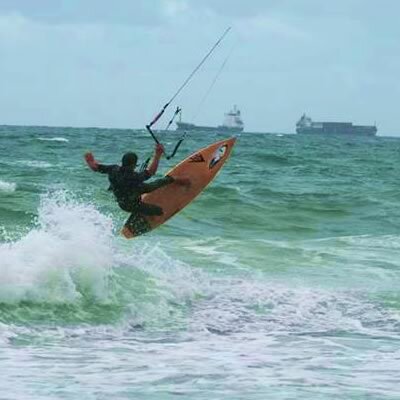 Kitesurfing is 'the' new action sport. Kitesurfing mixes up windsurfing, wakeboarding and surfing with the aerial possibilities of paragliding. You can kitesurf anywhere you have open water, at the local beach, out on the open Ocean, even on inland lakes and reservoirs, all you need is some wind and H2O and you are ready to go. If you have ever surfed, windsurfed or ridden a wakeboard then you already have some of the skills you need to enjoy kiteboarding. 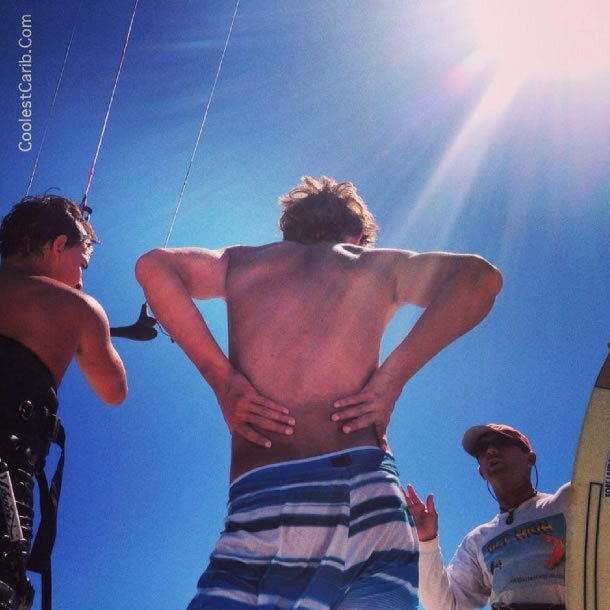 A weekend session with a good instructor and the right kite is all you need to be ready to kitesurf. Should I use a surfboard or a twintip? That depends on the style of riding you want to do, if you see yourself making powered cutbacks and powerful bottom turns on overhead waves then you already know what board you need. If that doesn't sound like you then you'll be perfect for a twintip board, there is a board type to suit every rider and every type of riding. What other gear do I need? 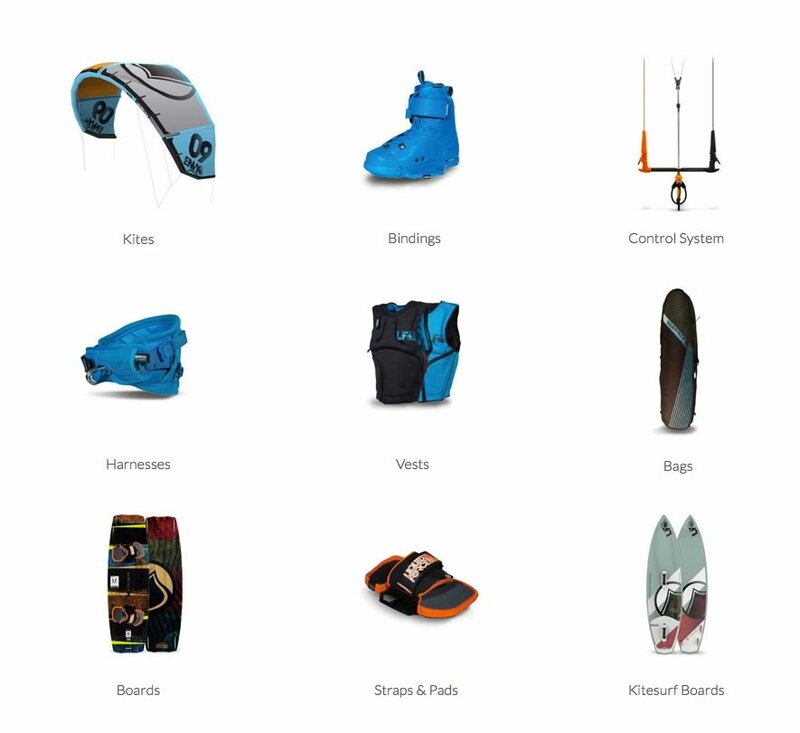 The absolute minimum gear list kite, board, harness and bar, but you shouldn't even think of going out without safety equipment, so check out the available personal floatation devices, hook knives and helmets before you buy anything else. The kites come in different sizes depending on your weight adn the strength of the wind.We can help you to get the right kite set up that will best suit you.We sell both new and used gear.You can come and try gear out before you buy it and we can help show you how to set it up and tune it for you. A full gear setup can also be rented for $100 per day. If you have any questions you would like answered we have a team of dedicated support staff and product advisors who would be only too happy to discuss your requirements, to help you find a school or instructor locally or even help you search out more information on kiteboarding if you are still unsure of how to proceed. Everyone at Best kiteboards, if you have any questions, just ask, we are sure to have the answers your need. 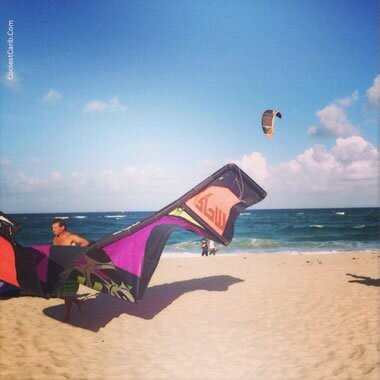 Fort Lauderdale Kite Surfing Co.